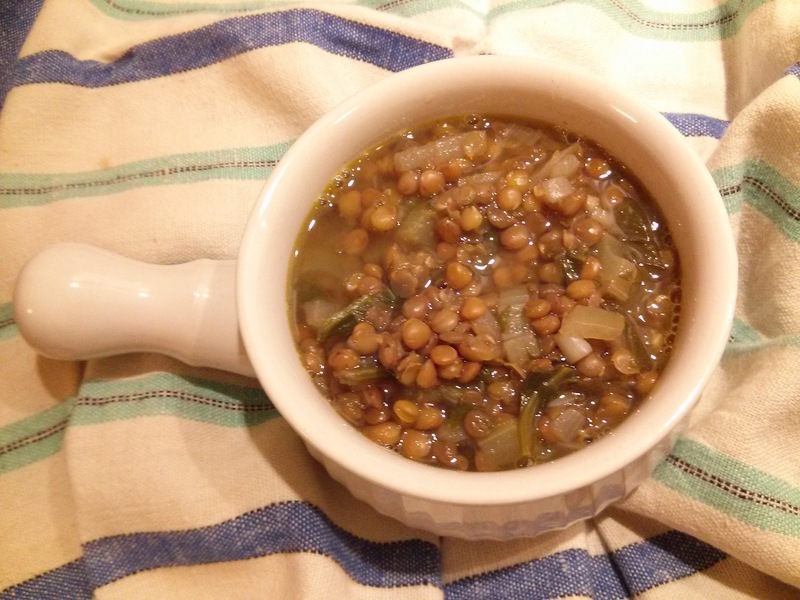 Lentils are quick and easy to cook as they do not require soaking. They are high in dietary fiber, protein, folic acid, iron and very low in fat. Place olive oil in a pot and heat at medium. Add onions, garlic, celery and sauté for 10 minutes or until soft. Add lentils to sautéed vegetables, stir. Add water, spinach and thyme. Bring to a boil. Reduce heat, cover and simmer for 25 minutes or until lentils are tender. Add salt and vinegar and stir (do not add salt if using salted vegetable stock).